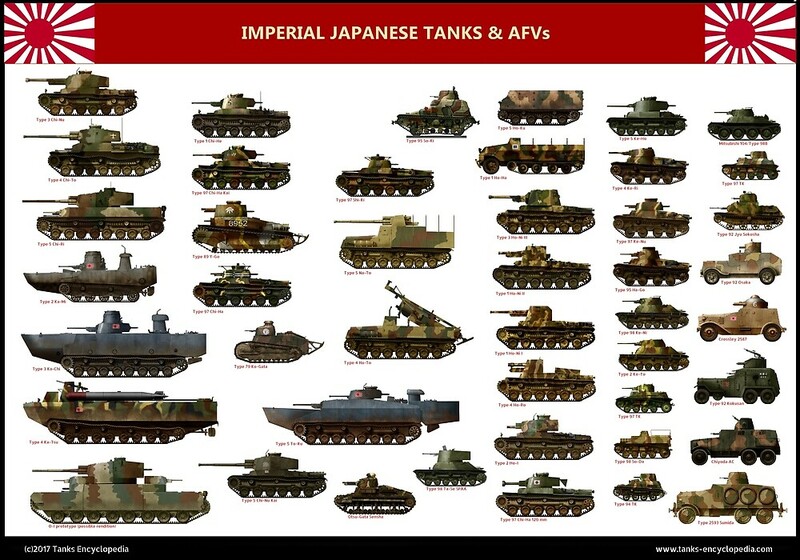 All began with the need, after WWI, to mechanize the cavalry arm of the IJA, at first with armored cars. But, for the Japanese Imperial Forces operating in Manchuria, the harsh climatic conditions and bad roads prevented any efficient use of these vehicles, and advocated the need for tanks. The cavalry corps, relatively independent from the army, wanted an affordable, fast and light scouting tank. In 1925-29, the Imperial Japanese Army Cavalry School based in Chiba tested several foreign tanks for its needs. The Carden-Lloyd tankettes quickly appeared as the best suited for this purpose, and the ones bought served as a basis for the first indigenous-built tankettes. 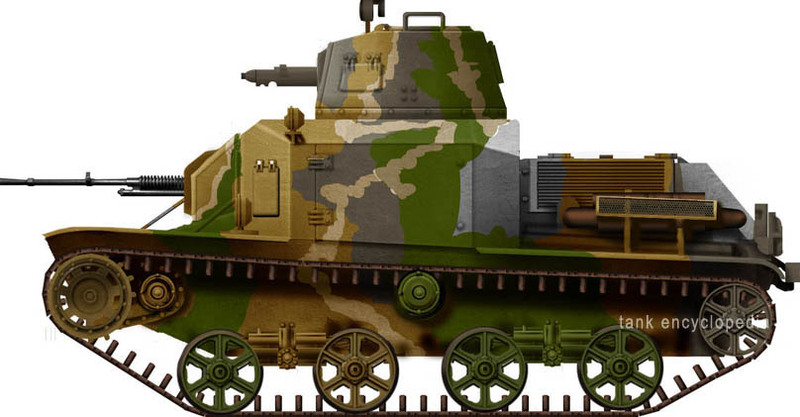 The first developed vehicle was an amphibious tankette, known as the Ishikawajima Amphibian. But road and off-road performance proved poor in trials, so this model was dropped in favor of a more conventional vehicle. The production was assured by Ishikawajima Motorcar Manufacturing Company. 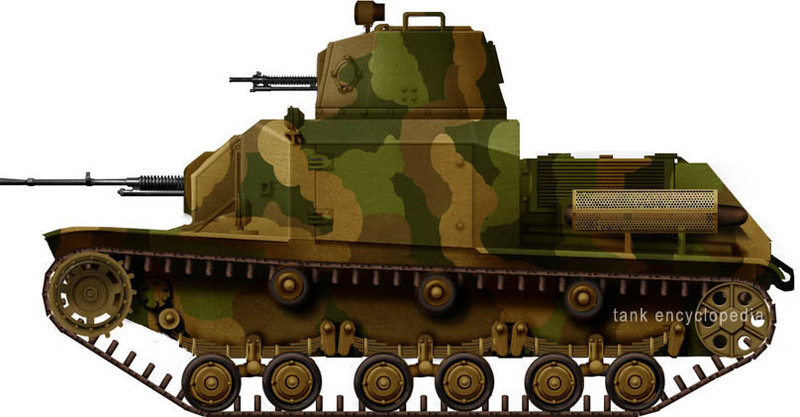 As vehicles were intended for the cavalry corps, it couldn’t be classified as a tank, so it was officially called a “heavy armored car” (Kyu-ni-shiki Jyu-Sokosha) instead, taking the Type 92 in the imperial army ordnance register. The Type 92 was loosely based on the British Carden-Lloyd. Contrary to many foreign tankettes, it was large enough to accommodate a turret and three crew members. Actually, it was more of an intermediate model, between a tankette and a light tank. The small size of the average Japanese men also helped this configuration. The engine was an Ishikawajima In6 air-cooled 6-cylinder gasoline (petrol) built under a Mitsubishi licence. Suspension was assured by a bell crank system. The wheeltrain evolved in three phases. The earliest version was derived from the Ishikawajima, the two prototypes of the amphibian version, which sported two bogies, each with two small rubber-lined road wheels per side. Later, the system adopted for production featured three bogies on each side (12 roadwheels in all) and three return rollers. In operations, it became clear that this configuration had a tendency to throw off the tracks during high speed turns, so the entire system was revised. The armament originally featured two 6.5 mm (0.25 in) Type 91 machine-guns, one in the turret and one in the hull. Later, a heavy 13.2 mm (0.52 in) Type 92 machine-gun was mounted in the hull. It was derived from the French Hotchkiss 13 mm (0.51 in), and its armor piercing capabilities were thought sufficient. It was heavy and cumbersome, and could not be mounted in the turret. The ball mount allowed some limited traverse, but had good anti-aircraft capabilities, thanks to a pivoting eyepiece on the gunsight and high-angle mount. The light machine gun Type 91 6.5 mm (0.25 in) was also a licence-built Hotchkiss. The crew comprised the commander/light machine gunner standing in the one-man turret, while the heavy machine gunner and the driver were seated in the hull. On trials by 1931, the Type 92’s running gear presented many problems and was modified several times. Important changes occurred mid-production, which spanned nearly eight years, from 1932 to 1939. Only 167 tankettes were built, from which we can distinguish “early” and “late” versions. The last (which represented the biggest part of the production) featured a completely new running gear with two bogies and bigger road wheels, and only two relocated return rollers. Other changes included the redesigned vision slits and portholes. The armament was modified as well, the aging Type 91 being replaced by the faster Type 97, of a bigger caliber (7.7 mm/0.31 in). Both the Type 91 and 97 were tank specific machine-guns. After the end of the production, and during the course of WW2, the Type 92 received many armament modifications. One included a new anti-aircraft mount (for a 7.7 mm/0.31 in Type 97) placed at the rear of the turret. The engine hatch was unfolded and locked to provide an improvised platform for the gunner. 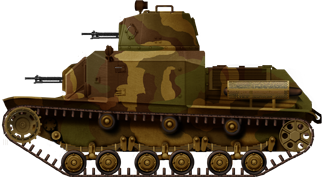 To improve their antitank capabilities, attempts were made to adapt a Type 98 20 mm (0.79 in) autocannon, and a few were thus modified. Later, a 37 mm (1.46 in) gun was also tested. Most cavalry units were based in Manchuria by 1935. 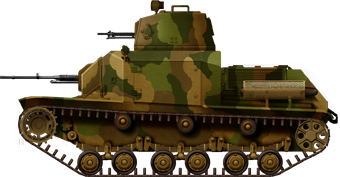 The Type 92 tankette was first deployed with the Kwantung army and with the Chosen army in Korea. Their first successful action was the assault of Harbin, in 1932. They also took part in the battle of Rehe (February-March 1933), during the Mongolian campaign. 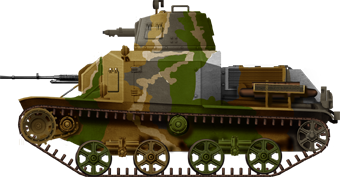 The Type 92 was not considered successful, being too weakly armored and armed for tank-to-tank combat, not fast enough, with relatively poor off-road performance and with a limited autonomy. 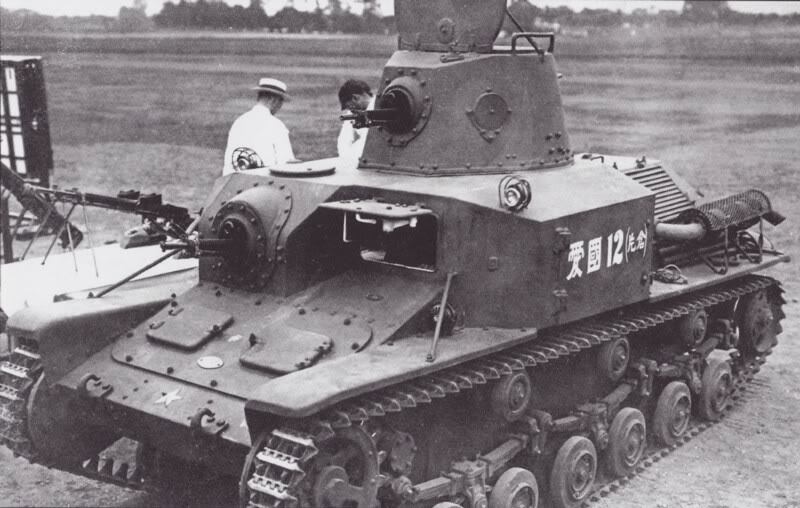 This tankette was gradually phased out from 1937, being replaced by the Type 97 Te-Ke. Most of them remained in China during WW2. The last surviving ones were destroyed during the Russian campaign in Manchuria, in August 1945. An initial production Type 92. The original armament consisted of two light 6.6 mm (0.25 in) Type 91 machine-guns, with one mounted in the hull. This vehicle belonged to a Cavalry division which took part in the attack of Harbin, 1932. A standard, rearmed early production Type 92. Notice the 13.2 mm (0.52 in) heavy machine-gun in the hull. First Special Tank Company of the 8th Division, battle of Rehe, March 1933. A late Type 92, Manchuria, April 1942. Modifications included a new drivetrain, new portholes and vision slits and a new light turret machine gun, the 7.7 mm (0.3 in) Type 96. The first production version of the Type 92. ‘Weekly’ should be spelled ‘weakly’.